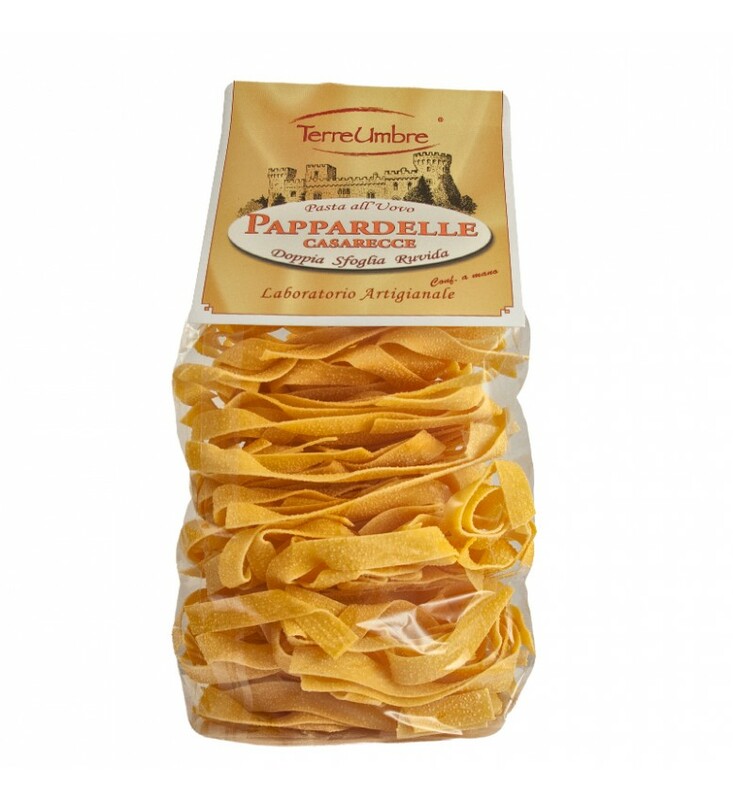 Quality pasta made with grade A eggs, 1°milling flour (NO GMOs flour), extruded through bronze double sheet and dried for 18 hours. Cooking time: about 7 minutes. Package for 5/7 people. Store in a cool, dry place away from light. Ideal with porcini mushrooms or wild boar sauce.